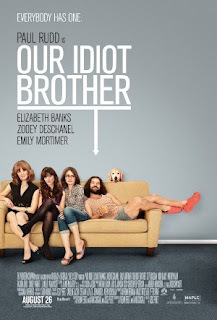 "Our idiot brother" tells the story of a man who is as stupid as he is charming. The movie begins with Ned (Paul Rudd) selling weed to a police officer in his uniform. This tiny incident gets him arrested and put into jail. Ned is brother of three sisters, owner of a dog named Willie Nelson and is in a relationship with a girl who owns the organic farm where he works. When he gets out of jail, he will live first with his mother and then with each of his sisters. 2011-10-28 22:00 A group of students set out to film a documentary about the existence of Trolls and how the government has been covering it for years. The students begin the documentary interviewing local hunters about the strange circumstances in which dead bears have appeared and how their tracks look odd. 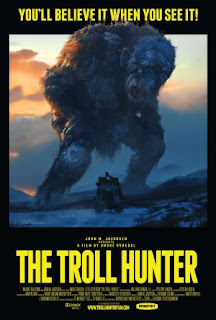 The real action starts when they begin to follow a hunter (Otto Jespersen) who they believe hunts Trolls. 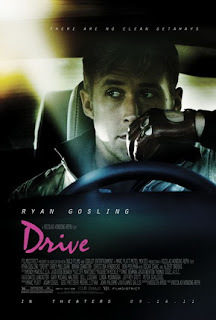 Emotionless driver (Ryan Gosling) has a dual life as a stunt driver and mechanic during the day and a getaway driver during the night. His life changes when he falls in love his neighbor, Irene, and her husband returns from prison weeks later. The driver's heroic character will try to save Irene's husband's life helping him to complete a heist from a pawn shop. Drive soundtrack brings you back to the eighties, with melodic synth pop tunes. The movie features several musical sequences where the audience takes the point of view of the main character. This creates a very good climate to transmit the character's feelings. Written by Hossein Amini (screenplay) based on James Sallis book "Drive"
Day by day, students in Elm street's high school are disappearing. One of the students, Tina Gray, has a nightmare in which she is stalked by a deadly man with razors in his fingertips and finally escapes. When she wakes up she has cuts nightdress. As the story moves on, Tina and her friends discover who the killer is. His name is Fredy Krueger, a child molester who was burnt alive by a crowd of angry parents. Contagion tells the story of the spread of a deadly disease in the course of a few days. What's different about the movie is the way the story is told. The film presents several plots, with no protagonist, that are followed over the course of several weeks showing how the outbreak and evolution of the disease affects the lives of different people with different implications. This peculiar way in telling the story is what likes and dislikes people as the different reviews show. The film is based in the true story of Danny Greene, an Irish mob boss who rises from being a Cleveland longshoreman. The movie narrates the steps Danny takes along his life until he is finally assassinated. Danny's first movement was to become president of the local union. Once president he becomes aware of his power and his criminal career begins. The movie is based on the Meek Cutoff trail first journey. A group of families driving three covered wagons hire Stephen Meek (Bruce Greenwood) to guide them through the Oregon high desert. The journey that was supposed to last two weeks keeps growing longer and longer while water and other resources become really scarce. Meek's cutoff is an unconventional western and although it depicts really well how harsh and desolate life was at that time, it does it mostly from the women's point of view. Most scenes and sequences keep track of women tasks while showing the rest of the action. The movie takes advantage of the cutoff story to make reflections about how the paths you choose can completely change your life. The characters are forced to choose directions several times along the movie without more information than chance and luck, with water for no more than a couple of days. In the end the expedition finds a half green, half dried tree, as a symbol of how their lives are let to chance. ...And we're all taking our orders from him, I'd say. We're all just playing our parts now. This was written long before we got here. 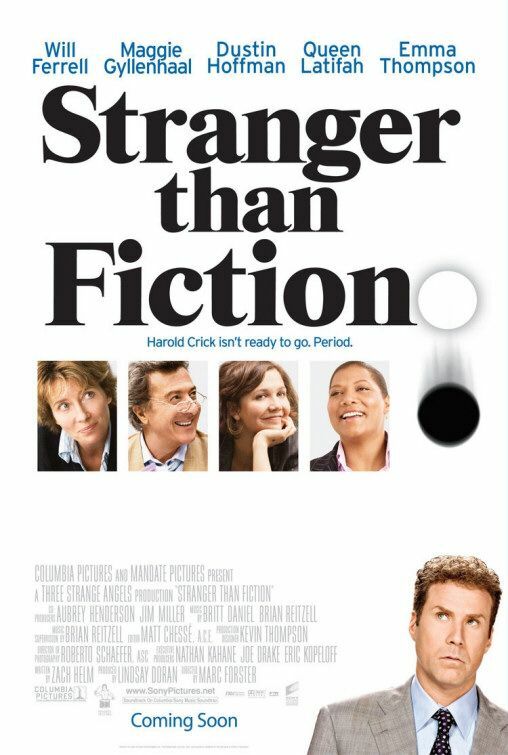 The movie begins with Nick Halsey (Will Ferrel) being fired from his job as a regional vice-president for sales at a big company. The company is laying him off mostly because of his problems with alcoholism and continuous incidents. When Nick returns home, he finds out that his wife has left him too and all of his belongings are spread in the front yard. Nick decides to stay in his front yard and will live there for a few days. The plot develops into the process Nick follows into realizing his problems with alcoholism and how he can regain control of his life. Christine Brown (Alison Lohman) a loan officer, denies an extension to a home loan from a mysterious gypsy Mrs. Ganush (Lorna Raver) in order to impress her boss and get a promotion. Christine is really pressured to get a promotion in her job, her boyfriend's mother underestimates her because of her origins in a farm which is something that really gives her an inferiority complex. When Christine denies the loan extension to Mrs. Ganush she gets really mad and begs Christine. The argument ends up with the Gypsy attacking Christine and being expelled from the bank's office. When Christine goes to the parking lot to get her car and go home, Mrs. Ganush is awaiting inside Christine's car ready to attack her. Christine enters her car and the Gypsy attacks her and finally puts a curse on her. Super size me is a 2004 Documentary about America's fast food eating trends focusing mainly on McDonald's and its health issues. Morgan Spurlock makes it personal and takes a 30 day McDonald's food exclusive diet, the film shows the process his mind and body suffer during this period. The House of the Devil is an old school horror film that recreates the 1980's horror movie style. A young college student Samantha Hughes (Jocelin Donahue) is looking for an apartment. She is desperate because right now she is living with another student who is a terrible roommate. Samantha doesn't have enough money to pay the first month of the new apartment, so she is looking for any kind of job. As she walks around the campus she finds an ad of a family looking for a babysitter.She immediately calls the phone number and is asked to meet in the campus as soon as possible. Samantha waits for the whole morning but no one appears. Samantha meets her friend Megan (Greta Gerwig) and tells her the whole story. Megan removes all of the flyers asking for the babysitting position as a vengeance for her friend. Finally Samantha is called back again apologizing for standing her up and offering her the job again. The story continues when both Megan and Samantha go to the house where Samantha will have to work as babysitter. Morgan Spurlock, famous for his Super Size Me 2004 documentary, takes a look now at product placement and branding in movies these days with his genuine style. His way of illustrating the viewer about marketing in movies is by analyzing and showing the movie industry's insights about the steps he is taking to fund and sell the movie itself. Simon Pegg plays the role of the anti-hero in this British comedy. Shaun is a twenty-nine year old loser whose life has become stagnant. His girlfriend has left him, his job has no future and his mother is living with his stepfather who he hates. He shares a house with Pete, their relationship is no better because Shaun's best friend Ed (Nick Frost)is staying some time living on their couch. Ed is a dreadful and outrageous failed marijuana dealer. London is becoming a zombie territory, but Shaun's mind is in his current situation and how he is going to change it. When Shaun finally realizes what's happening, he creates a plan that will save them and bring some light back to his life. Harold Crick is an IRS auditor whose life's about to change. The movie begins showing the precisely calculated and boring life of Harold as narrated by a voice. Harold soon begins to notice the voice and worries himself when he listens to the voice say "little did he know that this simple, seemingly innocuous act would result in his imminent death" after he resets his watch in a bus stop. His worries take him to consult first a psychiatrist and then a literature expert. The plot develops into a romance between Harold and the bakery owner he is auditing. In my opinion, as one of the characters states towards the end, 'the ending is ok'. The movie features really impressive animated 3d information graphics that contribute to show the vision of life in Harold's mind and how this vision evolves while the plot develops. The film tells the story about three Brooklyn cops with different pasts and careers who will wind up together at the same location by the end of the movie. Detective Salvatore (Ethan Hawke) is desperately looking for money to buy a new house where he expects his wife's illness will improve. Officer Dugan (Richard Gere) is a week away from retirement. He suffers from a big depression because his career hasn't been exactly exemplary. His situation gets worse when he is assigned to train rookies for his last week of work. 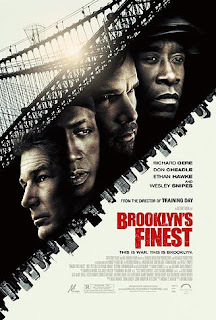 Detective Clarence Butler (Don Cheadle) is an undercover agent who has lost his previous life due to his extraordinary and committed work and is now trying to find his way out.